This proposal is available for every person. Aged people or families with kid can participate without problem. 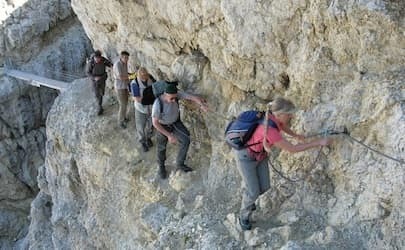 Every day we walk and climb easy via ferrata in differents areas of the WW1 Dolomites and visit the front line with short hiking tours. 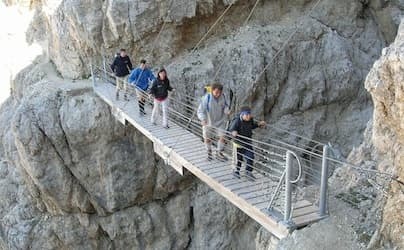 This tour climb up the peak of the Lagazuoi mountain with the “Kaiserjaeger path” (the Austrian-Hungarian mountain troops) with a short and easy via ferrata section (150 m) and a impressive suspended bridge! 650 m up in about 3 hrs. Good restructured track but constantly steep. On the middle section we arrive at the border of the enormous mine crater. 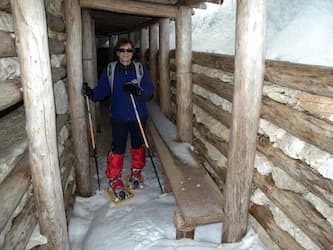 At the top we find the Refugio Lagazuoi where we can have a exelentes lunch with the local specialities. After the lunch we go down in the other side into the italian tunnel of the great mine. 1,5 km with the front lamp. 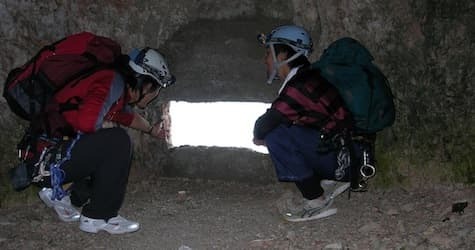 A impressive spiral tunnel go into the mountain until the base of the big wall of the Lagazuoi. No comment about this unique human work in the military history….. 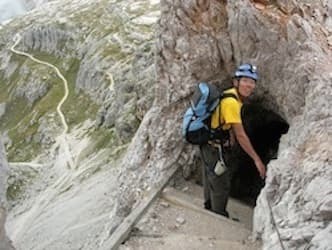 The Mount Piana is one other impressive site of battle with a labyrinth of trenches and easy via ferrata. 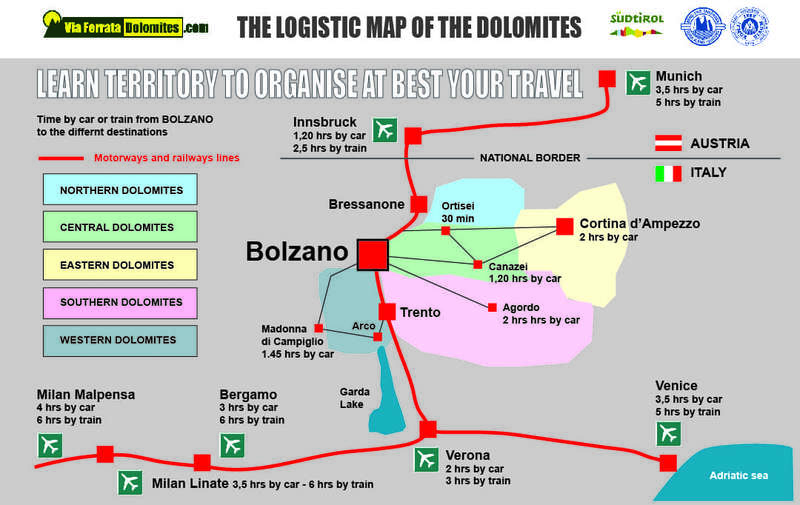 The particularity of this area is the vicinity with the famous “Drei Zinnen of Lavaredo”…. a great panorama! 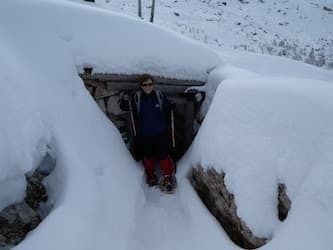 We can set this tour long or short in base at your preferences, but in any case we end at the Refugio Monte Piana, to taste the home specialities.